What works so well in the collaboration that ACM and I have been pushing for a couple of years now is the tone of it. We’ve found an aesthetic that puts joy and pleasure and fun centerstage without compromising any of the seriousness of the work. It’s sincerely serious fun, if you like, and it pushes up against some of the riskier edges of contemporary music making – edges like humour and sentimentality – without taking itself too seriously. What we’re interested in is playing the music that we really want to hear – music that has as much to owe to weird pop and underground DIY scenes as it does to the conservatory and the concert hall – and this program is a testament to that. Exploring new ways to tell musical stories, Snape’s Fleck Flob Flop chronicles the intersections of six lives through the combined powers of chamber ensemble, electronics and live-typed text projection, and comes to National Sawdust after two sell-out European tours with ACM. Colliding odd pop, classicaglia and experimental music theatre, expect something fresh, captivating, heartbreaking, and more than a little bit joyful. Manchester upstarts Kinder Meccano close the evening with a live set as irreverent as it is ecstatic, marshaling circuit-bent synthesizers, four-track recorders and a hairdryer into bold, bright masses of sound. File under ‘exuberant’. Almost Credible Music, based in Manchester, UK, presents immersive programmes involving sound, light, video and theatre. Formed in 2012 by Michael Cutting and Vitalija Glovackyte, ACM has commissioned works from almost 20 young composers and given significant UK premieres of composers such as Simon Steen Andersen and Alexander Schubert. In its short history, ACM has performed at Huddersfield Contemporary Music Festival (2013, 2014), New Music North West (2013, 2015), OHNO at Café Oto (2014) and SPOR (Denmark, 2015), at which its show with Black Page Orchestra was chosen by the Danish journal Seismograf as the highlight of the weeklong festival. Joe Snape mixes conventional and homemade instruments with light and text to make unusual and moving performances. 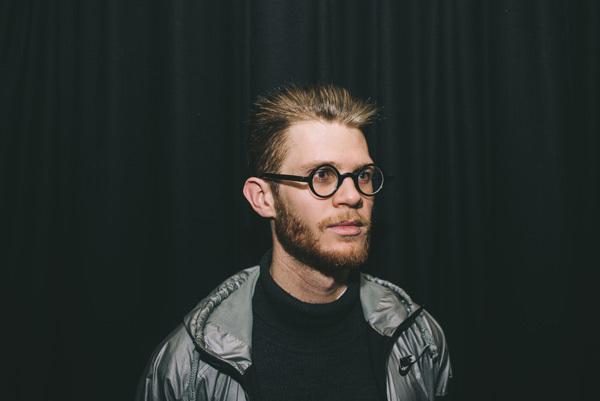 His work – featured in The Guardian and described by Sinfini Music as ‘wholly enchanting and deeply thoughtful’ – has been presented at venues like Café Oto (London), Wonder Site (Tokyo), Mayhem (Copenhagen), Melkweg (Amsterdam), Roter Salon (Berlin), Arraymusic (Toronto) and The Kitchen (NYC). His work has appeared on BBC6 Music, Resonance FM and NTS Radio, and is published by the Slip, Kesh and Ono imprints. In recent years he’s been a UK Young Artist and a nominee for The Arts Foundation’s Creative Producer fellowship. Fusing instruments and objects, tape recorders and synthesizers, Kinder Meccano presents immersive performances merging warped pop music, vintage arcade game sounds, and analogue re-imaginings of Japanese glitch music. 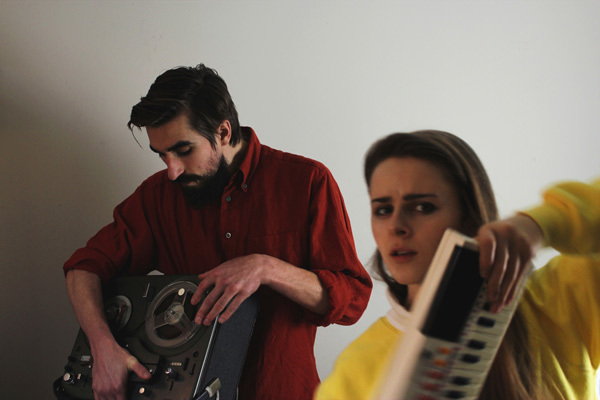 Formed in Manchester at the end of 2016, the experimental pop duo has quickly gained national recognition in the UK, having been broadcast on BBC Radio 3’s Late Junction and chosen by the Skinny North as one of the 9 bands to watch in 2017. The following months see Kinder Meccano performing across the UK, North America and Europe before releasing its debut EP later in the year.